Ratikan täysikokoinen malli eli maketti saapuu Tampereelle helmikuussa 2019. Maketissa saat tuntuman siihen, millaista Ratikalla matkustaminen on vuonna 2021. The new Tampere tram will be comfortable, easy to use and bright. That’s why many Tampere residents are taking part in the testing and design of the tram car. Together we can make the best possible tram for our city. This year has been especially important to Tampere Tram project, because the final design and colour of the tram will be determined with the help of everyone in Tampere. In April, for example, city residents had a say in the design of tram’s interior design and colour selection. Later this autumn, we will know what the Tampere tram looks like. Tampere Tramline allows fluent and punctual transportation in the municipality. The average distance between stops is about 600 metres and the service frequency of the tram will be 7,5 minutes. The Tramway Alliance is designing and building the tramway infrastructure and depot area. You will find more information about the construction project and its impact on traffic on the Tramway Alliance website. The principal clients of Tramway Alliance are Tampere Tramway Ltd. and the City of Tampere. Tampere Public Transport is responsible for planning and operating the majority of public transport in the Tampere region. The unit also maintains a fare and ticketing system. 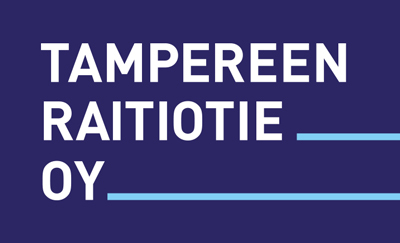 The City of Tampere oversees the political decision-making process behind the tramway project and the participation of Tampere residents in the design and construction of the tramway system. The city is also responsible for the planning, construction and maintenance of roads, bikeways and public areas linked to the tramway, as well as tramway operating costs and public transport fares.